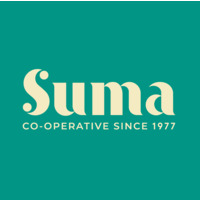 I have been buying the Suma sweetcorn for years. I was tempted to buy this Italian one by a friend / worker. I was very disappointed with it. I will go back to the original sweetcorn. I agree with the above review it seemed soggy, tasteless and definitely not sweet. Thanks for taking the time to feedback on this product & I’m sorry you were disappointed with it. Whilst it is meant to be less sweet than our French sweetcorn, I think not sweet at all is a bad thing. I’m guessing you don’t still have the can, but if you did, the batch details would be useful for us in recording the complaint. We will keep the product under review with our supplier. This product isn't to our taste. it is very bland and far from being sweet. Maybe it should be renamed as "Corn"